Discuss Zica Toy's action figures. Custom boot replacement options for Mezco 1:12 figures? Poll: Who Made the Best Mego Like Figure? Heroes Accessories and other Mego Factory Closeouts. 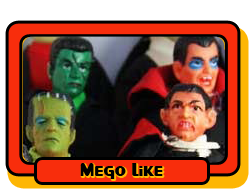 What Mego Line are YOU still longing for?